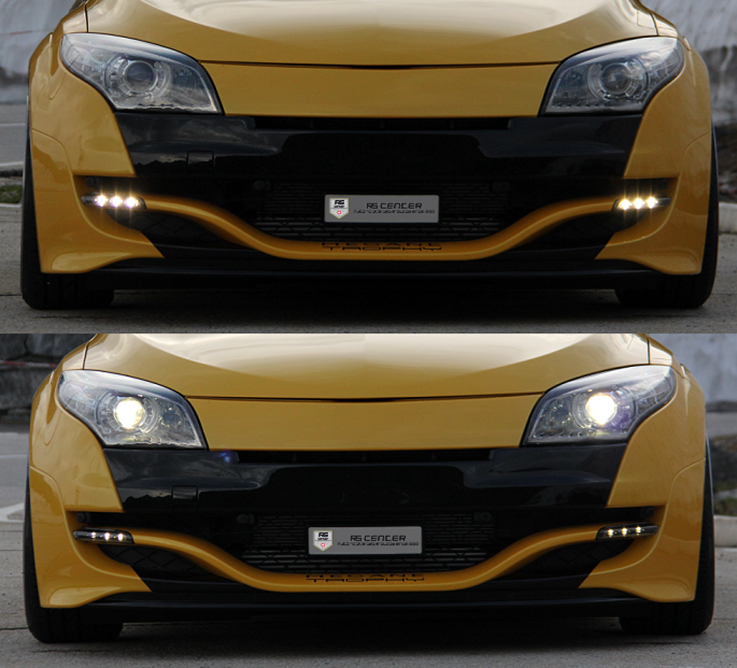 With the RSC LED daytime running light modules, the front parking lights can be integrated into the LED daytime running lights of the Renault Mégane 3 R.S. Ph1 (dimmed LED, analogous to the Mégane 3 R.S. Ph2 & Ph3). These are converted OEM LED daytime running lights modules. These can be ordered either completely new or in exchange (with exchange fee) against the still installed and fully functional modules. It’s also possible, to send your own fully functional modules for the conversion. The parts are replaced by Plug&Play. No additional cables are required. The parking light function is also maintained when the vehicle is stationary (engine off, ignition off). Please inquire with the required details as vehicle data, , order type (new parts, pre-delivery in exchange or sending your own modules).